We’ve heard of long-lasting makeup, but never long-lasting skincare that promises to keep skin hydrated for up to 72 hours. 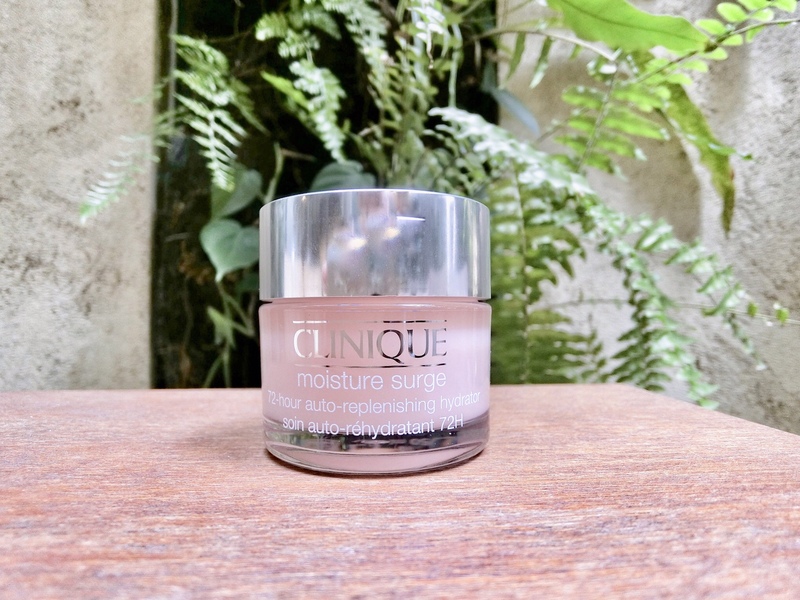 This new Moisture Surge (S$75 for 50ml) gel-cream moisturiser contains hyaluronic acid, a moisturising “matrix” to seal in hydration, as well as a formula of caffeine and “activated”‘aloe water to help the skin rehydrate itself. I slathered on a thick layer of this viscous product before bed as an overnight mask, then slept in an air-conditioned room. The slick texture also makes it ideal for facial massages. The next morning, my skin felt more supple than usual. As I washed my face, I could still feel the moisturiser on the skin; that is how well it adheres. This multi-tasking moisturiser can also be blended with a liquid foundation, bronzer or highlighter to give skin added hydration as you apply your makeup.